What's better than red glitter on my nails? Red glitter on my Christmas tree! I've been eying Katie Crafts' handmade ornaments since I saw her Santa Cam on Instagram last year. Now that I have Ogre's Grove to stock, I was able to order glittery goods for my fellow geeks to gawk over. 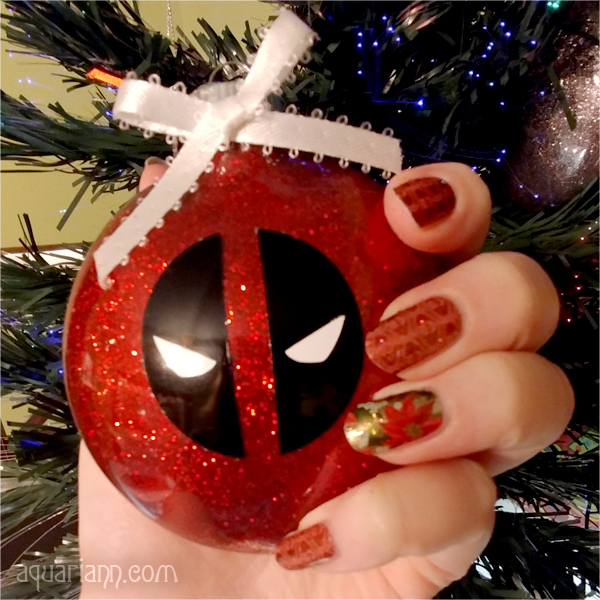 Deadpool, Flash, Punisher and Darth Vader ornaments arrived in time to take a set to Ocean City Comic Con this Saturday, Dec. 9 - that is, unless Katie's creations sell out at 129 Union St. in Milton, Delaware first! 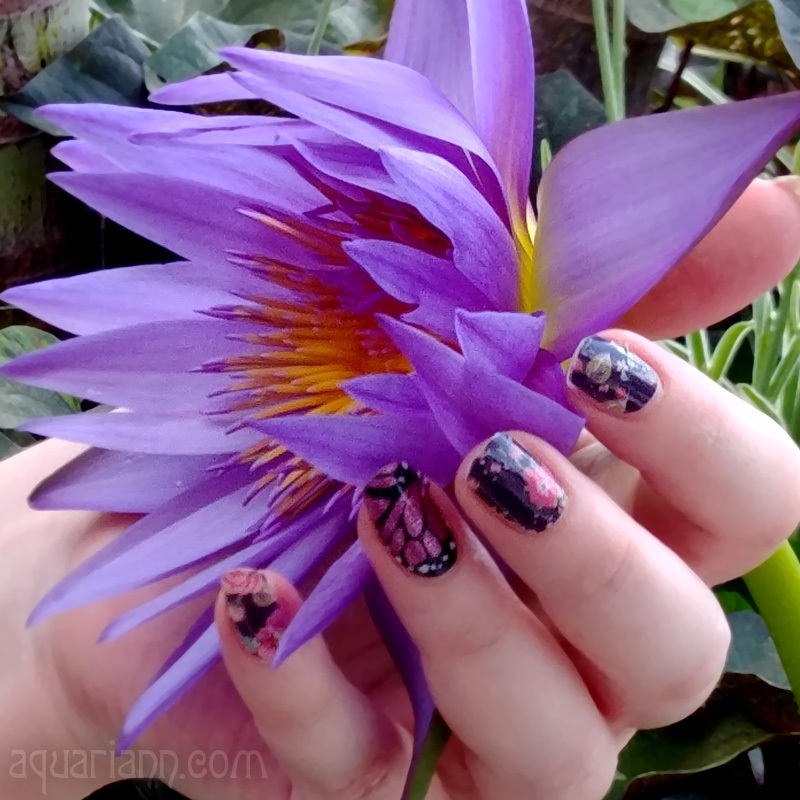 And we're still days away from Friday, but I am wearing Jamberry's Tinsel Poinsettia design as an accent nail, so I hope you'll linky up some flowers anyway! Awesome, I loved this movie! This is a terrific ornament! That's very cool!! And festive to boot! Nice :) I love your nails. My boys would love that. I should try painting on ornaments. I love red glitter on my tree. Cool ornament, BTW! I love this so much. Super creative.